Closing a merchant account is a process that every business owner should be familiar with. Do it the wrong way and you can get slammed by fees, have funds withheld, or encounter other challenges. Thankfully, they are generally avoidable with some tips and best practices. First off, you need to know the difference between freezing your merchant account, having it terminated by your bank or merchant services provider, and closing it yourself. In the event of a freeze, activity on your account will essentially be put on hold. Since this applies to incoming transactions, it can bring your business to a standstill. Usually, this is done by the bank, due to suspicious activity. Whether it’s a checking account or some other type of bank account, account freezes are meant to protect your business from being defrauded in the event of illicit or unauthorized transactions. However, they can happen without notice, so you don’t necessarily have a chance to prepare for them. 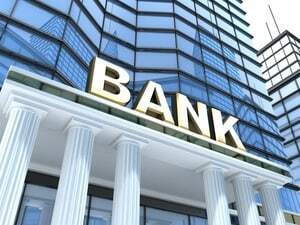 Once the mystery of the suspicious account activity is solved, the account can be unfrozen by the bank and resume normal operation. Accounts can also be frozen due to an excessive number of credit card chargebacks. A processing freeze will prevent you from accessing your account, and prevents any new charges from being made. It will also put a halt to any automatic payments that are associated with the account. To avoid being flagged wrongly for suspicious activity, inform your bank of any major changes in your business, like the products you sell or the currencies you accept. For that reason, if you accept payments from different countries, in different currencies, or have products that change regularly, you might be a high-risk merchant when it comes to having accounts frozen. E-commerce merchants often fall into this category, since they do payment processing for transactions from all around the world. This makes them naturally higher-risk than brick and mortar store owners. Your account can also be frozen if you violate any of the terms of the agreement you signed with your bank. In these cases, you may be able to get access to your account again if your violation is remedied. An account termination is either when an account provider or bank terminates your account, or when you request to close it. In both cases, the account is completely removed, and any assets held in it are moved elsewhere. They might be moved to a different account, or liquidated into cash. To avoid termination fees and other unpleasant surprises, follow this account termination process. The first step is to know what the terms of your agreement were with the bank, as this will determine whether or not you are allowed to close the account. For example, if you signed on for a year-long contract, terminating your account before the year is up can result in early termination fees or other penalties. To avoid these, review the terms of your contract carefully before attempting to terminate your account. You can also contact your account provider ahead of time and ask them if you’ll incur fees for an account closure. Once you know you won’t breach the contract with your bank, a service representative can help you close down your merchant account. However, there is the question of what to do with your credit card terminal – that is, the physical equipment needed to allow customers to swipe their debit cards and credit cards to be processed by your payment gateway. Without an account associated with it, these credit card processing systems won’t work. In many cases, these terminals are leased from the merchant services provider. If your credit card terminal is a lease, simply follow your bank’s instructions for returning the equipment. If you bought your equipment, you may be able to use it with other accounts. If not, you may be able to sell it to another merchant so that you don’t take a major financial loss on unusable equipment. If you use an online POS terminal, there will be a specific process for closing it down along with your merchant account. Just ask your POS provider or the company that acts as your payment processor. Note that there may be a monthly fee associated with your merchant account, as well as other merchant services you use. Your website is one such account. If you don’t terminate your website, and only terminate your account, customers may continue attempting to make purchases. This can cause monthly fees or transaction fees to be incurred, so to avoid issues, be sure you close your website and other accounts down before your merchant bank account. To close your account without incurring fees, be sure not to break your contract. This means waiting until the contract period has ended to close the account. Every merchant account has a termination policy with specific stipulations as to when and how fees can be charged. Follow it to a T, and you can void fees. Sometimes, however, account terms are hard to understand. 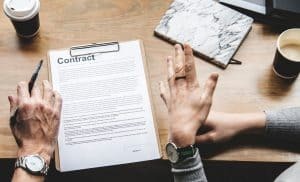 If your company has a lawyer, they can explain the contract in plain English. However, be sure to do this before you sign it to begin with. Otherwise, you’ll be signing an agreement you don’t understand. If you sign a contract without understanding it, it may be much harder to avoid charges when you try to close it down. If you do have to break your agreement, however, there are some methods you can try to avoid the fees. Unless you were intentionally misled by the account provider, it can be difficult to get fees waived. However, a few tips can make all the difference. First, be sure to close the checking account associated with your merchant account. Once this is done, it will be harder for the merchant account provider to charge you fees. 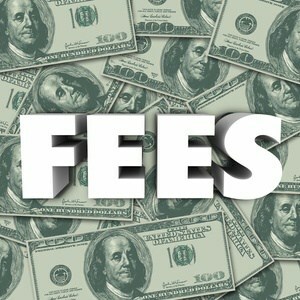 These fees would otherwise be deducted automatically as soon as the merchant account was closed, in breach of contract. Then, if you tell your bank you suspect unauthorized withdrawals, it can add an additional layer of protection to prevent the merchant account holder from withdrawing fees. 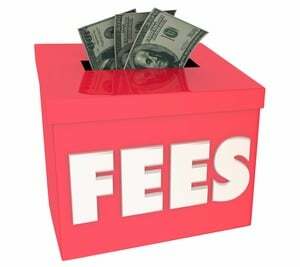 If a fee has already been charged, you can also inform your bank that this fee was fraudulent, and get them to reverse it. If the merchant account and associated checking account are still open, however, you may get hit with another fee right away. Be careful with these tactics, however, as the merchant account holder could pursue legal action such as a lawsuit. This is more likely to happen if you owe a lot of money, as smaller amounts wouldn’t be worth the time and expense for them to pursue. As another tactic to avoid fees, be sure your website and other accounts are shut down, so that you won’t get charged fees for customers who attempt to make purchases that send money to an account that is no longer active. It helps your case greatly if the merchant account provider broke the contract before your attempt to terminate it. For example, if they raise your monthly fees, transfer fees, per-transaction fees, or make other changes not allowed by the contract, you have a good chance of being able to cancel without penalty. If this is the case, however, you need evidence of wrongdoing. Collect any contracts, forms, account statements, or other materials that support your claim before you terminate the account. Then, include these materials with your written notice of account termination. Closing your merchant account doesn’t have to be difficult, and doesn’t have to include termination fees. All it takes is good documentation, thorough understanding of your contract terms, a bit of preparation, and a little luck!